Double Halo Diamond Infinity Engagement Ring | Shane Co.
One hundred and fourteen round diamonds, at approximately .96 carat total weight, glimmer beautifully in this scintillating halo engagement ring. Two diamond embellished halos will surround your chosen 1.50 carat center diamond and add a brilliance to be adored for a lifetime. 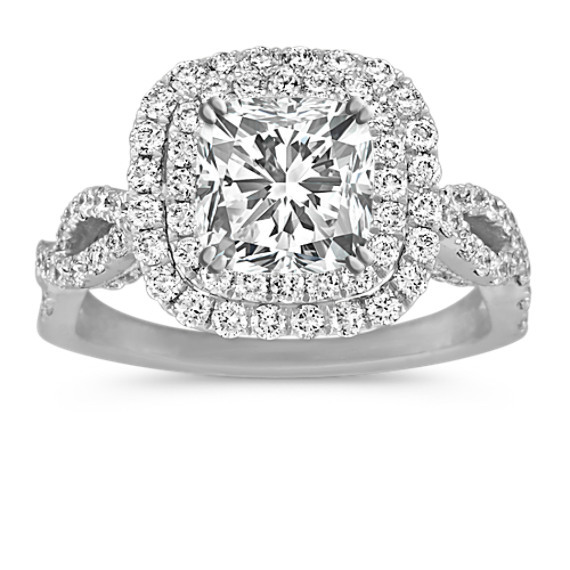 This engagement ring setting is crafted of quality 14 karat white gold and displays a gorgeous infinity design.